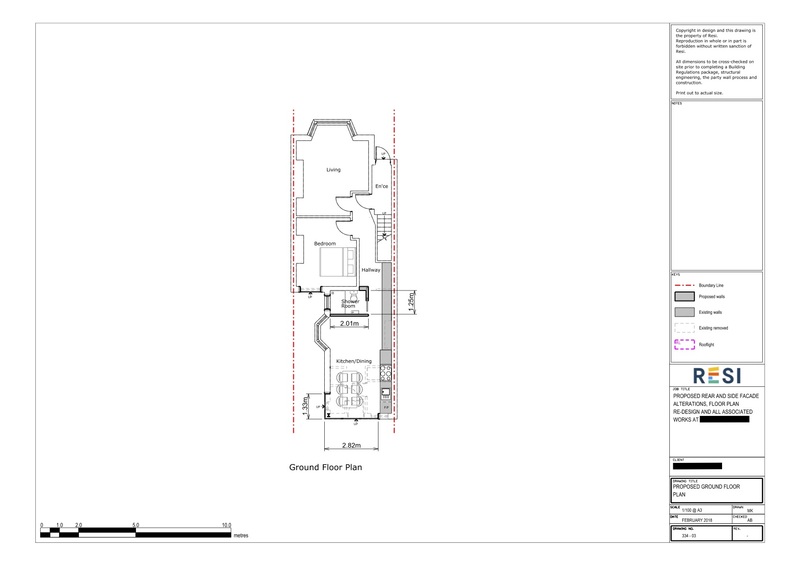 When this client decided that their ground floor flat did not have the ideal layout, they came to Resi for a complete redesign of the floor plan. Our architects quickly drew up a plan that resulted in a more logical flow from room to room. 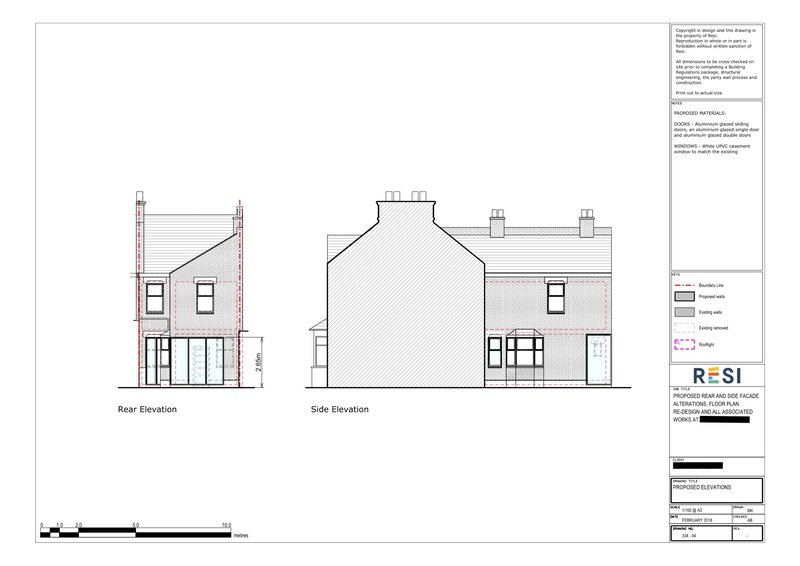 Our client wanted their flat to reach its maximum potential, which meant moving the kitchen and dining area further towards the rear of the house to fully take advantage of the garden view. They requested that the new kitchen be redesigned as open plan, with a modern and minimalistic style. In order to allow a garden view from the kitchen, the rear walls containing the bathroom, WC, and cupboard had to be knocked down. This created a spacious, open plan kitchen area with a great view of the garden, which was complemented by floor to ceiling glass doors. Not only did these doors let in a lot of light, but they were in keeping with the modern style that was preferred by the client.